We all very different, or so we like to believe. Most know the story of Job, his descent into a world of misery he never imagined was possible for him. Job is a wealthy man living in a land called Uz with his large family and extensive flocks. God counts him as“blameless” and “upright,” always avoiding evil (1:1). Satan comes to God who has boasted about Job’s goodness and argues that Job is only good because God has blessed him abundantly. Satan challenges God that, if given permission to punish the man, Job will turn and curse God. God allows Satan to torment Job to test this bold claim, but he forbids Satan to take Job’s life in the process. 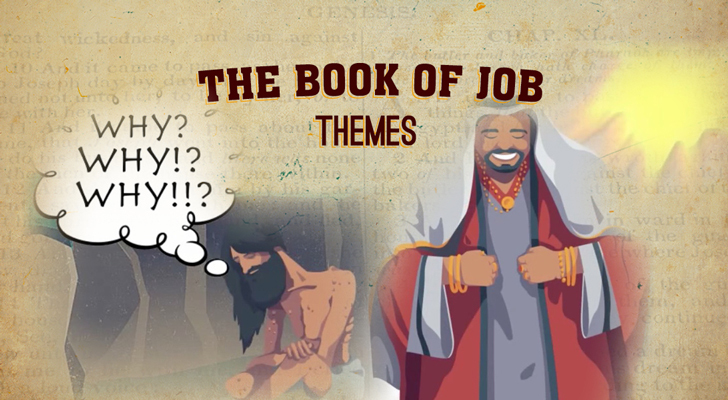 Many different writings make note of the fact that the Satan in the book of Job is not the same as the one in the NT. This Satan at this time is one of the heavenly minions. Job finds himself in dire straights, one disaster after another which of course brings to mind a question that is asked often by all of us. Why Me Lord? Job does not know the answer to that question but there are others who believe they know, according to the customs of the day. We often ask ourselves when things go wrong, “What have I done wrong or what could I have done differently?” There is a turn in this account of Job that I have overlooked in the past and it is possible you may have also. We see in the early going conversations between Job and his friends they believe that God blesses the good and punishes the guilty, so they felt Job must be guilty of some terrible sin and should repent. Job, does not believe that, which we as readers of the first chapter, know to be true. His friends continue to press him to admit his sin, then we encounter Elihu who grows weary that no answer has been presented by any of the four involved in this conversation. Elihu leans more toward divine providence, which he insists is full of wisdom and mercy. It is possible that suffering may be decreed for the righteous as a protection against greater sin, moral betterment and warning, causing us to have a greater trust and dependence on a merciful, compassionate God in the midst of adversity. Reasonable thought, how often has a crisis moved us closer to God? Job has endured a number of setbacks and his friends while distraught at his situation continue to push Job to repent of his sin, believing still it is responsible for where he finds himself at this moment in time. It is at this time (chapter 32) that Elihu, who by the way is not an elder joins the conversation with a lengthy speech. It is thought that his not being an elder, he waited out of respect for those older than him to have their say. It is here that we encounter that turn I spoke of earlier. We all seek answers as to why this or that has happened to us. Job was no different and the treatment he received, one more of judgement than comfort in his time of distress and from his friends no less, most likely drove him even lower. He was driven to revisit the good things he had done, the stature he had attained in living a good life…..he sought the presence of God. Then came the turn. We might expect Job, in chapter 38, to answer Elihu. What we get is God’s response to Job which is all questions. The paradox of a question becoming an answer, allowing Job to take these facts and make the connection of Why. -1-3 God makes his presence known in many ways. The questions start, not what Job wanted, he wanted to address God directly. He wanted to know the charges against him and win justice for himself. Instead he gets questions he can’t answer. -God invites Job to prepare for confrontation. -Job 13: 21 Withdraw your hand far from me, and stop frightening me with your terrors. 22 Then summon me and I will answer, or let me speak, and you reply to me. -4-7 These verses are to impress upon Job that he can’t even begin to understand the depths of God’s wisdom and knowledge. So tell me Job, can you do any of these things? Did you see me do these things? Point is Job, if not, who are you to be seeking a confrontation with the Almighty to bring your case to and receive vindication? These questions are not to marginalize Job but to hopefully show him the majesty of God and to glorify God. As I bring this weeks blog to close I still ask WHY? In these first eleven verses we see how ordinary we are. Job must come to the realization that he lacks the knowledge to ask such a question….he is mortal, just a man. So what is the Job Syndrome? I think it is taking too much for granted, no, better said, taking God’s blessings for granted. Then when things don’t go our way we want to know why. Ponder on this….no person receives salvation by doing good things or having nice things……..Why?